Building and developing a reliable recommendation engine requires professional and highly dedicated content management. 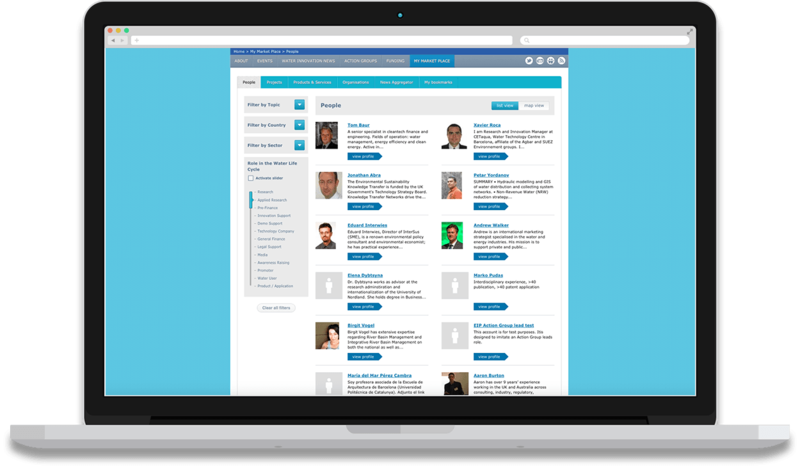 PoolParty equips you with all necessary tools to benefit from superior content personalization. Build a PoolParty knowledge graph that classifies your content subjects. Link subject categories with each other and start developing a content network. 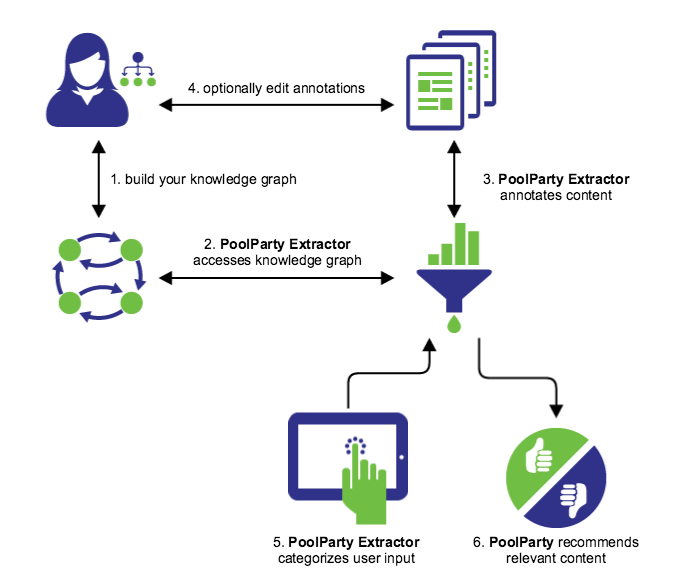 Use the PoolParty module ‘Entity Extractor’ to analyze your content and match it with your knowledge graph. Metadata gets automatically attached to your content repository. You can manually adapt it if necessary. The semantic information embodied in the knowledge graph and the content itself is what makes content recommendation work. PoolParty’s Content Recommender lets you build a sustainable framework for delivering automatically existing information to various stakeholders. Your context-based content gets frequently reused. You generate new ‘digital products’ through topic pages that are created and automatically updated by the Content Recommender.